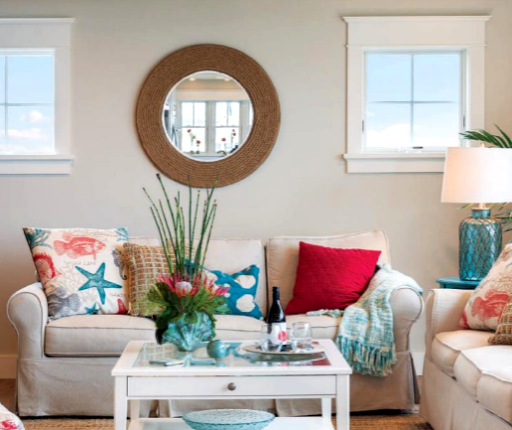 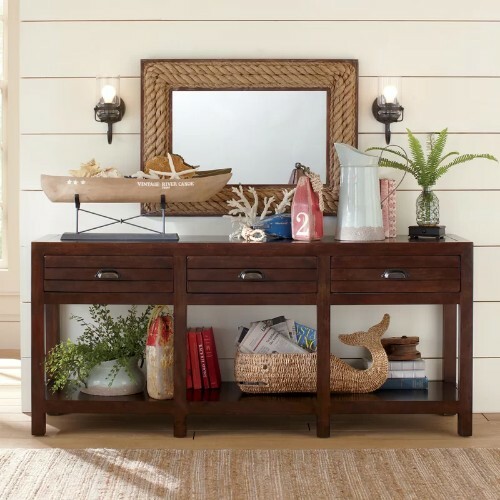 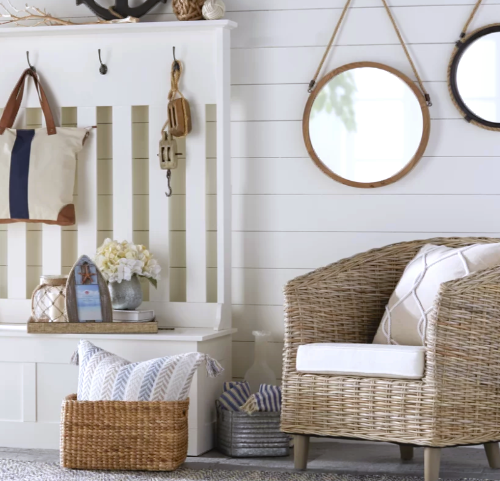 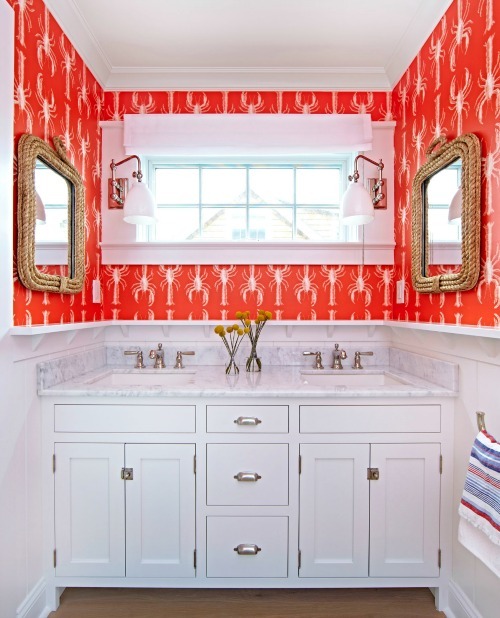 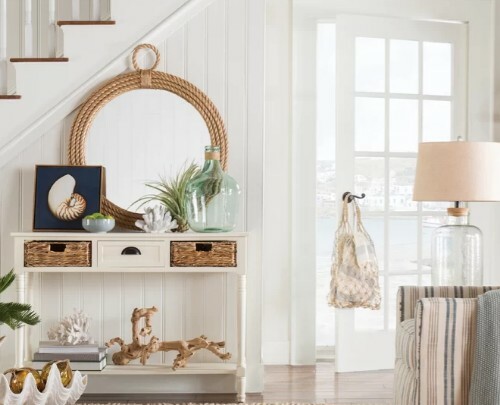 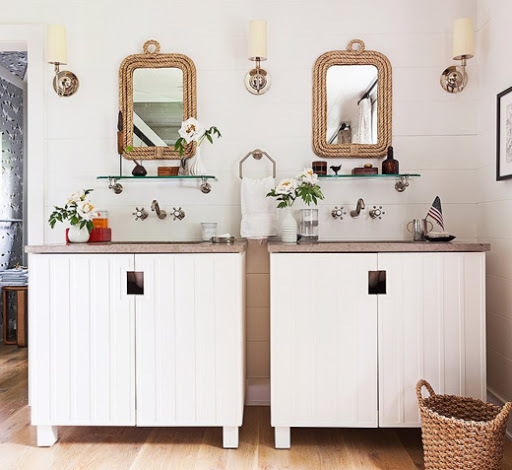 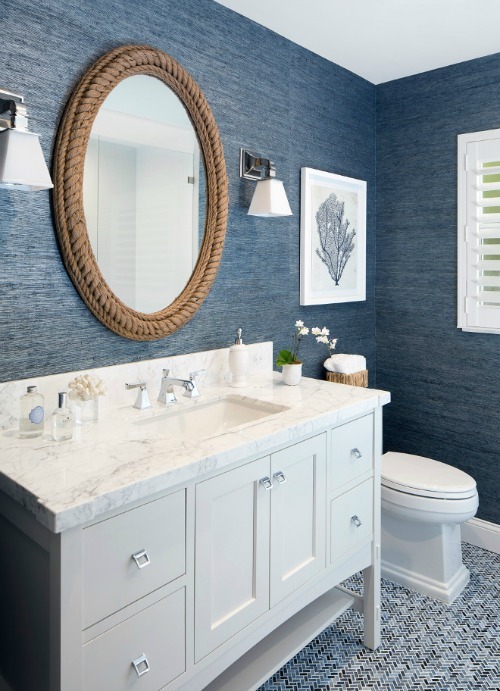 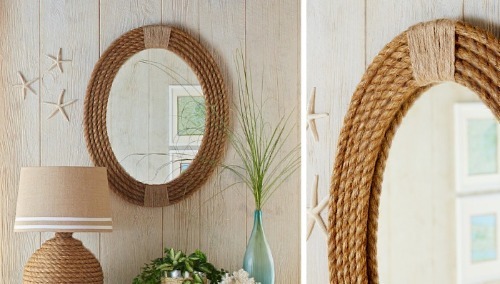 Decorating Ideas with rope mirrors for coastal and nautical style living. 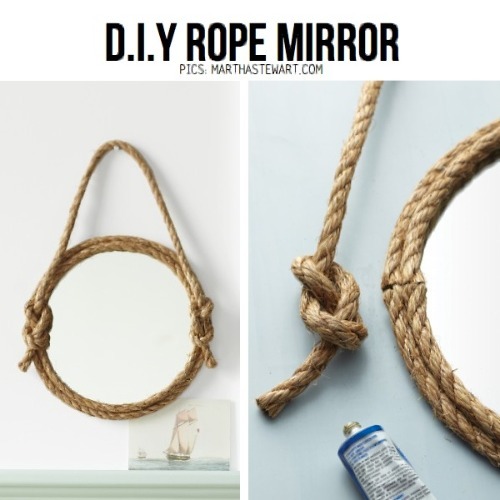 Rope mirrors in a variety of styles and sizes. 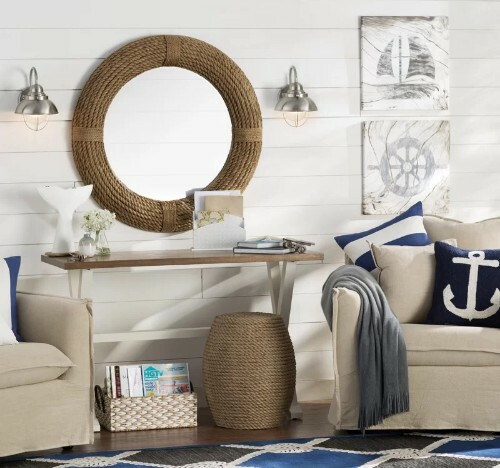 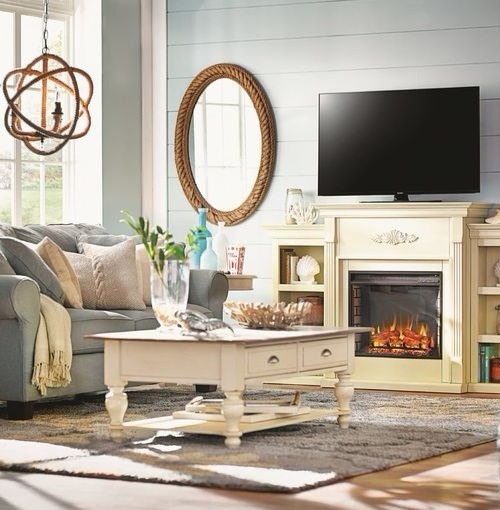 Shop the Look or DIY. 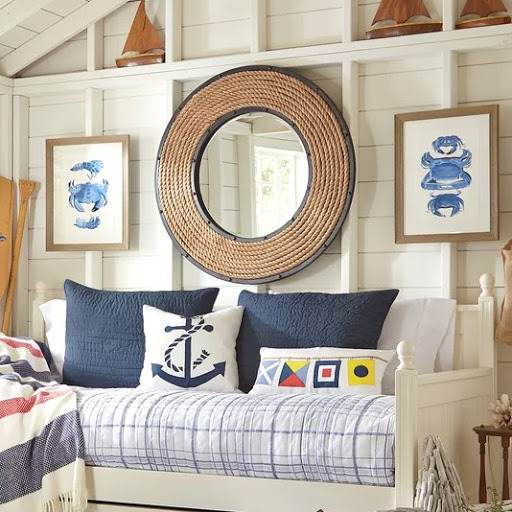 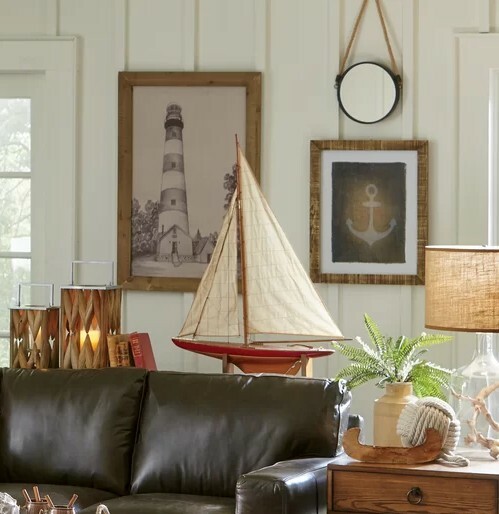 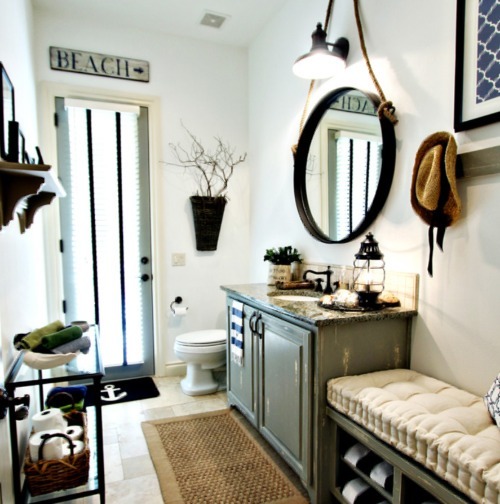 Rope has come a long way, from being utilitarian and used on boats, to chic home accent with a nod to nautical. 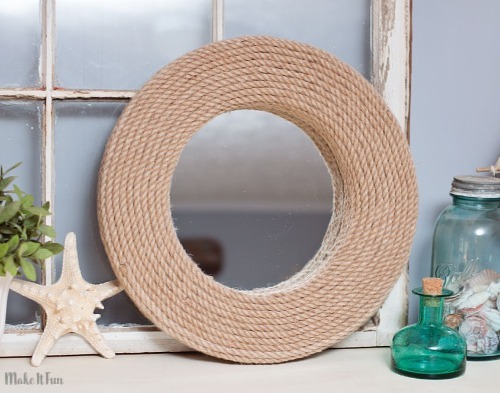 Shop this rustic look, or make your own rope mirror -Scroll down for links to some great DIY rope mirror tutorials! 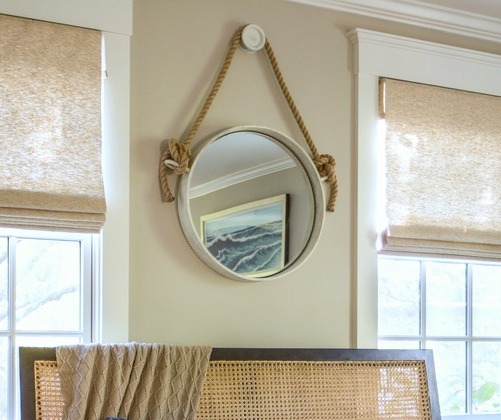 Mirror can be hung both horizontally or vertically.